OPTIONS OPTIONS OPTIONS! 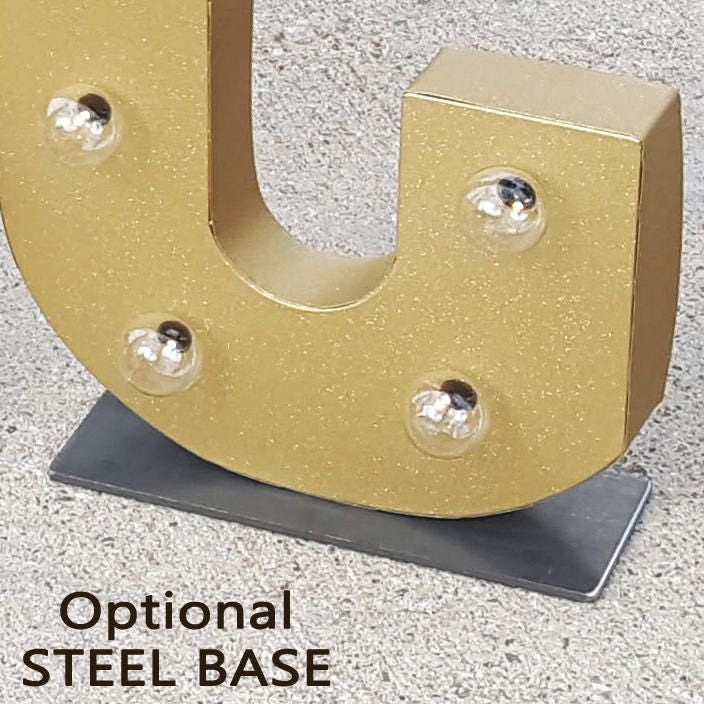 * 24 color options * plugin * battery operated * solar powered * hang or free stand * rustic (aged look) * modern (non-rustic new look) ... and more! 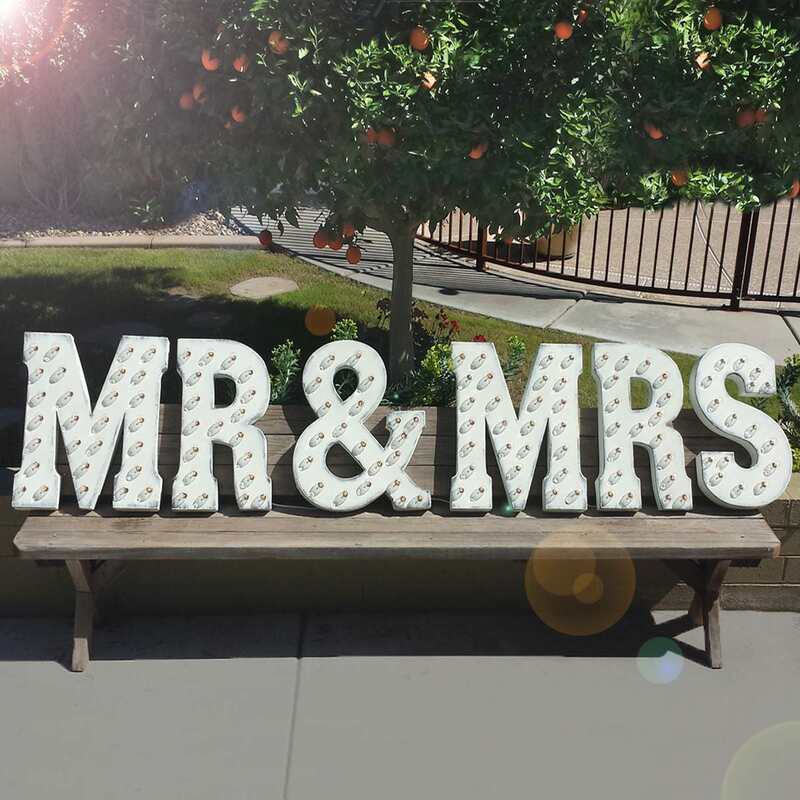 6 individual letters spell out the phrase MR & MRS.
We also offer LOVE, I DO, MR & MR and MRS & MRS.
We also offer a PLUG-IN version of this same sign! 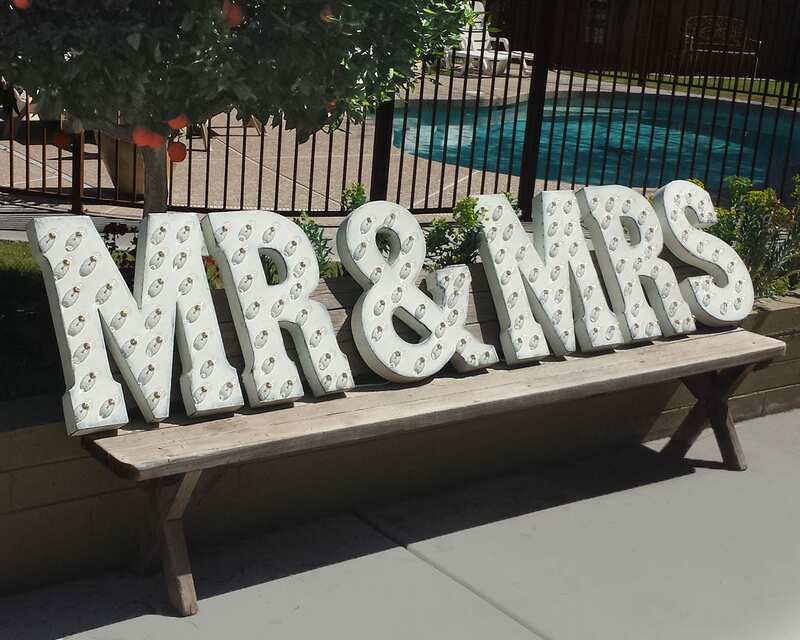 The width is 86.25 inches, if the letters are touching each other side-by-side. 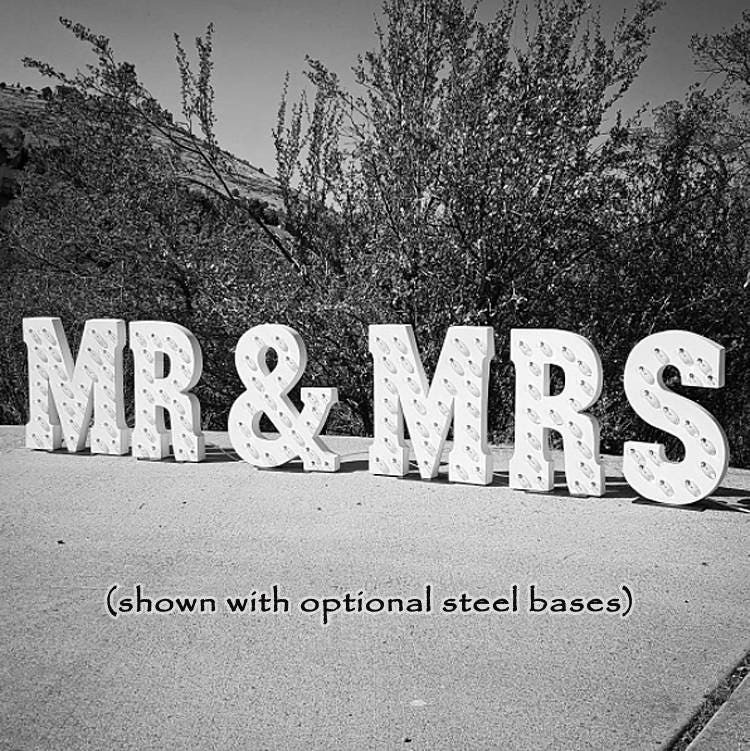 OUR LETTERS HAVE A RUSTIC AGED LOOK. PREFER A NON-RUSTIC NEW LOOK? NO PROBLEM, CONTACT US! 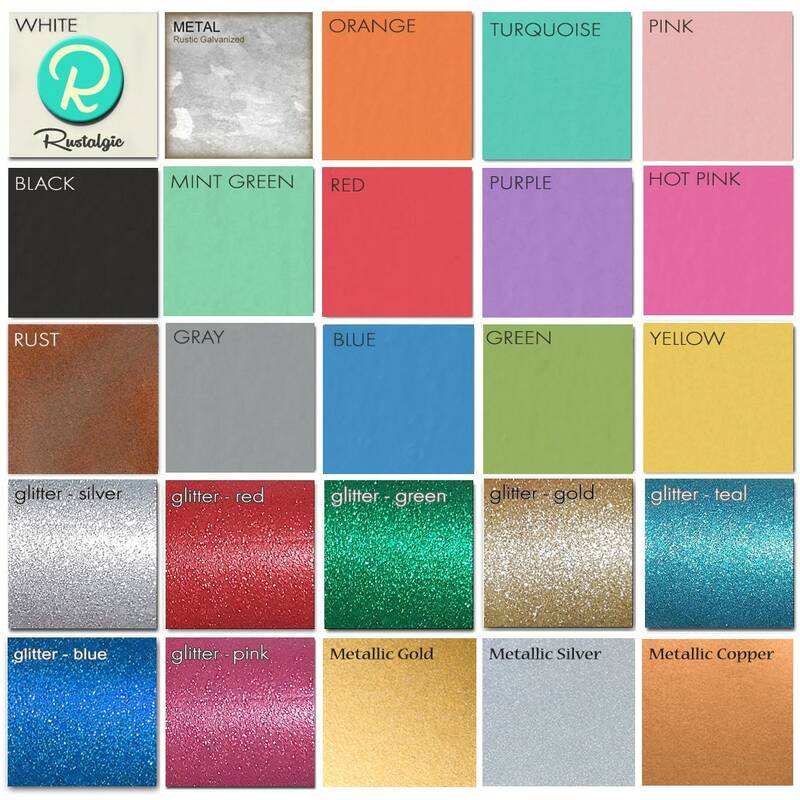 Our METALLIC & GLITTER paint finishes do not feature a RUSTIC option, they will have a clean finished appearance. * 3 AA BATTERIES per letter, BATTERIES INCLUDED! * 3 day production time! * Spare glass globes included! * Battery pack located at the bottom, inset inside the back of each letter. * We offer replacement parts & bulbs if needed! 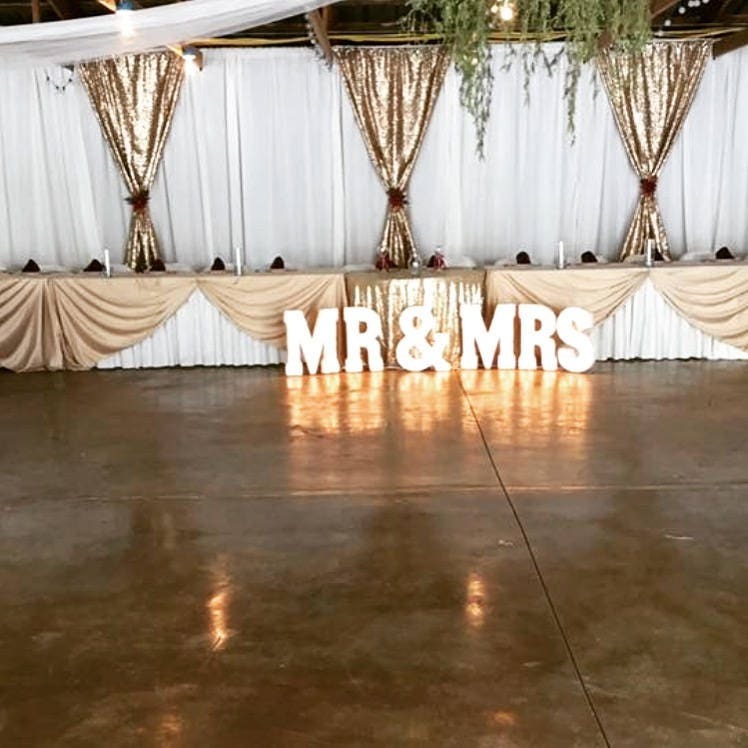 Our metal signs are artistically hand painted with our own custom made indoor/outdoor chalk paint to resemble the look of a rustic sun faded vintage marquee letter from a nostalgic era! 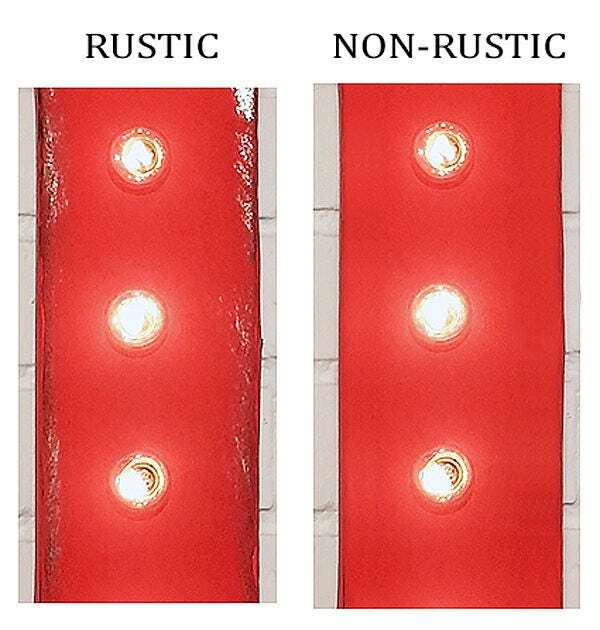 PREFER Non-Rustic, let us know? If you choose the MULTI-COLOR option, choose a color combination from our color palette and specify your color choices in the order notes at check-out.